At a remote ice station in Antarctica, a team of US scientists has found something buried deep within a 100-million-year-old layer of ice. Something made of metal. In a land without boundaries, there are no rules. Every country would kill for this prize. This book keeps me guessing at each page! It is suspenseful and a must pick up for everyone! Feels like I'm reading a hollywood blockbuster. Ice Station was the first novel I've read from Matthew Reilly and I am pleased to say that this novel had me hooked from the first chapter. Ice Station was a pleasure to read filled with non-stop escapist action from start to finish. I would like to see this novel make its way onto the big screen. From the moment you read page 1 you can't put it down. Action packed, easy to follow and a real page turner. This is the first time I have read anything from Matthew Reilly and if Ice Station is anything to go by, I will definately be reading more. 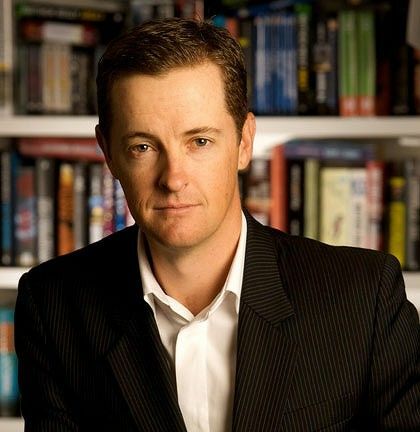 Matthew Reilly is my favorite author, and Ice Station is my favorite book! I have read this book, and every book in this series, at least a dozen times, and will read it anther dozen times. His detail to maps and weaponry are excellent and the whole series is easy to follow. This fast-paced, action book is a great read for anyone! Matthew Reilly's book 'Ice Station' the first installment of the 'Scarecrow Series' is a fantastic start... I highly recommend NOT picking up this book to fill in some time because when you need to put it down... you just can't... I have re-read this book 4 times and I want to read it again... The characters are awesome and original, Matthew Reilly also prides himself on his knowledge of weaponry and also making maps of places featured in the novel located at the start/ends of the book for quick referencing so you can get a visualisation and sense of direction... If you are looking for a fast paced, white knuckled exciting book.... Stop right now and buy this book... Good for 17-late 40 year old males... Also I recommend 'Contest' and 'Temple', both by Matthew Reilly as well..